Hydrotechnik UK have been supplying pressure testing equipment for hydraulic machinery for over 25 years. 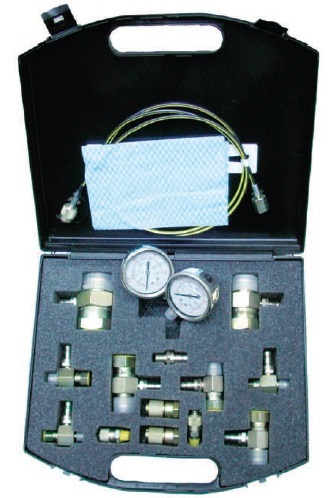 With our deep understanding of the market we have created pressure testing kits specifically for OEM test points and threads. These kits below have been put together for a particular style of test points and BSP pipe adaptors typically found on JCB & Caterpillar machinery. 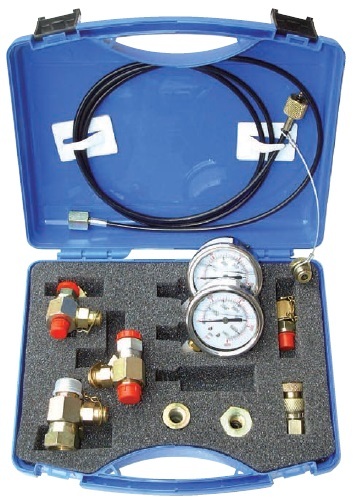 - Caterpillar style pressure test kit with Flat Faced Quick Release test points found on most CAT machines, with a large range of JIC test point pipe adaptors. Also suitable for John Deere machines.